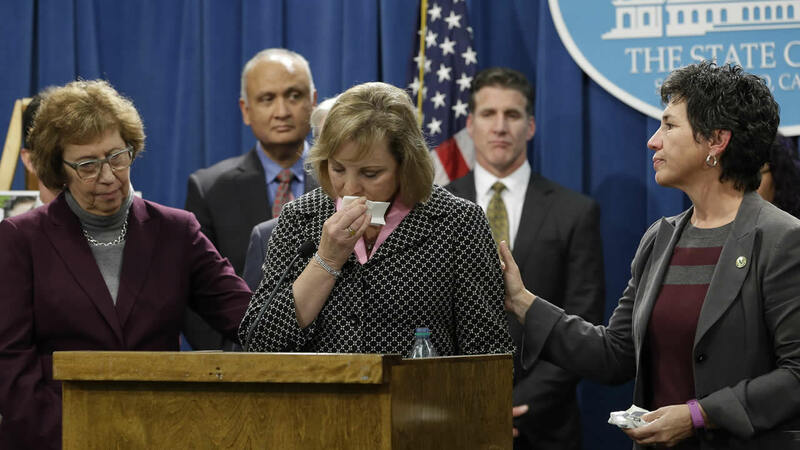 SACRAMENTO, Calif. -- Legislation that would have allowed terminally ill patients to legally end their lives in California stalled Tuesday amid fierce opposition from religious groups. The family of Brittany Maynard, the terminally ill Bay Area resident who moved to Oregon so she could legally end her life, stood side-by-side with lawmakers to promote right-to-die legislation in California. The authors of the right-to-die bill did not present the legislation to the Assembly Health Committee as scheduled because it did not have enough votes to advance. The panel includes multiple Democratic lawmakers from heavily Catholic districts in the Los Angeles area, where the archdiocese actively opposed the legislation. "We continue to work with Assembly members to ensure they are comfortable with the bill," Democratic Sens. Bill Monning of Carmel and Lois Wolk of Davis, and Assemblywoman Susan Eggman of Stockton said in a joint statement. "We remain committed to passing the End of Life Option Act for all Californians who want and need the option of medical aid in dying." Christian Burkin, a spokesman for Eggman, said the bill could not meet the deadline to pass committees this year while lawmakers remained uncomfortable with the bill. Religious groups say allowing doctors to prescribe life-ending drugs is assisted suicide and goes against God's will. Religious opposition helped defeat similar legislation in California in 2007. Montana, Oregon, Vermont and Washington have court decisions or laws permitting doctors to prescribe life-ending drugs. A court ruling is pending in New Mexico. Aid-in-dying advocates hoped the tide would turn after national publicity surrounding 29-year-old Brittany Maynard, who moved from California to Oregon to legally end her life in November following a diagnosis of terminal brain cancer. In widely viewed videos and national media appearances, she said she deserved to get life-ending drugs in her home state of California. Maynard's family members advocated for the right-to-die bill in Sacramento after her death. The bill had advanced out of the state Senate on a mostly party-line vote, with Democrats in support and Republicans opposed. California's bill was modeled on Oregon's law, which has been used in more than 750 deaths since voters approved it in 1994. Advocates for people with disabilities say terminally ill patients could be pressured to end their lives to avoid burdening their families. The California Medical Association had dropped its decades-long opposition to aid-in-dying legislation, saying the decision should be left up to individual doctors if they want to help patients end their lives. 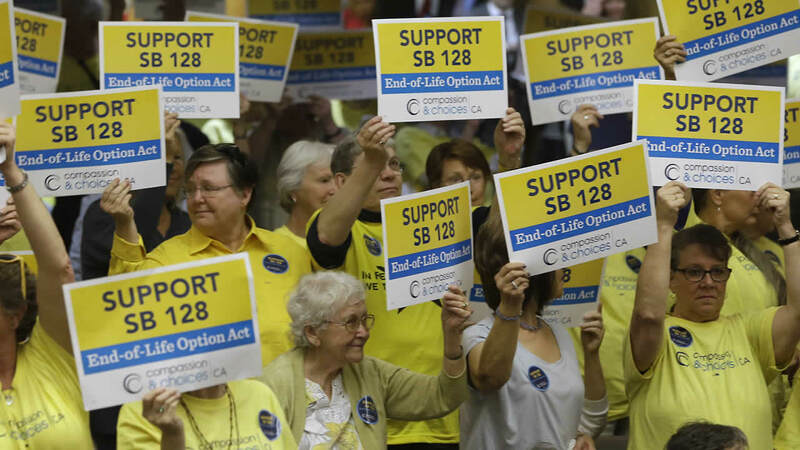 Legislatures in Maine and Colorado have rejected right-to-die bills this year. Similar efforts have stalled in other states.